Amongst our huge range of Hi Vis Clothing and Work wear our Customised Hi Vis Safety Jackets are a very popular item this year as they all come ready printed with your personal details and company logo to help you stay advertised during these times of high competition. Our Customised Hi Vis Safety Jackets are a brilliant product for the rail, building and underground industry and as they will keep you seen at all times. Click here to view our Calendar Lady Clothing Department. To find out more about our Customised Hi Vis Safety Jackets click here and fill in the contact form and we'll get straight back to you. 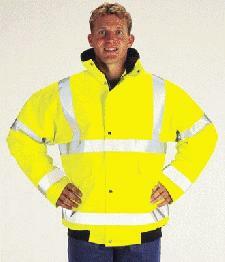 Other promotional and personalised items besides our Customised Hi Vis Safety Jackets click here.